If you have not gone on any of Murray River tours, you really haven’t gone on real boat trips. There are so many reasons why you should book a reservation for at least one of Murray River tours. The operator of Murray River tours usually makes room for up to 11 participants per group. So, you can book a reservation for you and your family or you and your employees. Nothing can be more bonding than pleasure tours. If you enjoy hanging in a serene and tranquil environment, you will definitely enjoy all the Murray River tours. This is because the river is smooth and always tranquil. There are three categories of trips. 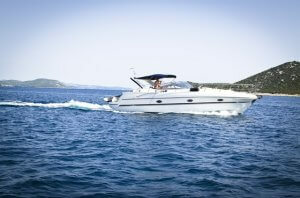 You can go for short cruises, delightful day cruises, and the best of them all, custom designed cruises. Custom designed cruises allow guests to design their own trips. If you want to really enjoy your short cruise on the mighty Murray River, you should definitely take up our Broken Cliffs Cruises. One of the reasons why this South Australia river view cruise is ideal for you is the number of scenic sights you are going to see. This short cruise takes guests past scenic sites like houseboat marina, several limestone cliffs, and wildlife. In addition, it also offers a stunning landscape. The cruise spans approximately 3 hours and its cost starts from AUD $90pp. Want to cruise the Murray River aboard one of our boats and enjoy our river view experience? Get in touch with us by visiting RiverGum Cruises page. Another of our short cruises along the Murray River is our amazing Sunset Cruise. As its name implies, this cruise is at sunset. It is very pleasurable to watch the sunset while you are on board. This will give you the opportunity to take snapshots of the mirror images of Waikerie Cliffs on the river. There is a licensed bar where you can get your favourite drinks. The duration of this cruise is approximately 2 hours and it starts from AUD $60pp. Depending on what time our cruises depart for the sunset experience, you might just enjoy a night cruise with this short cruise. Get to learn more about what our tour includes by getting in touch with us at RiverGum Cruises. If you are after long cruises along one of Australia’s longest river, then our Banrock station is ideal for you. This cruise offers morning and afternoon trips. Both trips offer virtually the same features. The difference lies in their timing. It takes guests to Banrock Station. You will also enjoy local wines and sumptuous meals. Furthermore, you’ll enjoy nice sightings during your 8 hour long Banrock Station cruise experience. The duration of the cruise is approximately 8 hours and it starts from AUD $135pp. Our Caudo’s Wine and Dine Cruise is one of our top choices for those looking for a premium cruises. Like the Banrock Station cruise, this one also offers both morning and afternoon trips. Guests will arrive at the famous Caudo Vineyard to enjoy BBQ Grill and Sangria. In general, our Caudo’s Wine and Dine Cruise allows you to indulge in wine tasting. Furthermore, you will be able to sample a variety of cuisines that are sure to tickle your taste buds. Speaking of cuisines, you will get to enjoy our famous Sangria and BBQ grill with this wine and dine cruise. The duration of each of the trips is approximately 8 hours and it starts from AUD $125pp. Another of our delightful day cruises is the Overland Corner Cruise. Like the others, this cruise offers both morning and afternoon trips. It takes guests to Overland Corner Hotel where they will enjoy local wines and great meals. You never know, you might just learn more about Australian cuisine or get to know about the finer details of wine. Come afternoon, you can board the Qatar and spend your entire afternoon cruising the majestic Murray River to Waikerie. The duration of the trip is about 8 hours and it starts from AUD $145pp. If you would like to learn more about Overland Corner cruise and how well you can prepare for it, do visit RiverGum Cruises. Get to experience your first paddle streamer with experts by taking up our Lunch at the Lock Cruise. This cruise takes guests to Lock 2 where they will have lunch before they cruise back to Waikerie riverfront. There is also an option of taking a leisurely walk to the lock after having your lunch in some of the beautiful picnic grounds. This cruise is actually one of our favourites and is sure to be a perfect fit for millennials. The duration of this cruise is approximately 6 hours and it starts from AUD $155pp. Whether you are looking for overnight cruises or a simple 3-hour cruise, Design Your Own Cruise package is ideal for you. 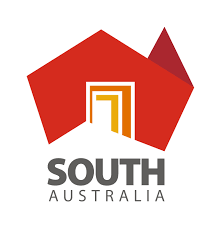 You can also get to sample some of the best cuisines and South Australia’s regional produce and wines. In other words, this is the most interesting cruise because of lack of restrictions. You can design how you want your cruise. Speaking of customizing your cruise, with this package you can include stopping in the middle of the river to have a BBQ, swim or fish. You can even arrange a stop at the Murray Bridge to take in some of the scenic views around. It starts from AUD $250 per hour (minimum 3 hours). In conclusion, it is important to let you know that two of the short cruises were left out. So, there are four short but interesting and fascinating cruises in all.